Martin Luther’s interest in the problematic of freedom belongs to a larger thread—or, more prop erly perhaps, a twine of issues—that runs through Western culture. It stretches as far back as Homer and then, beyond Luther, into the Enlightenment, only to find itself woven into today’s concerns, such as globalization and technology. 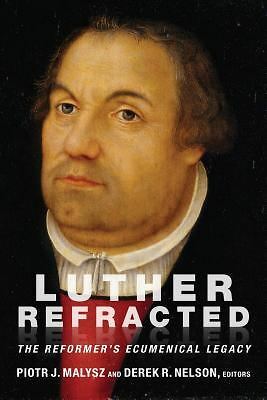 Though Luther views himself primarily as a critical heir of Augustine, and considers freedom from an unapologetically theological perspective, it is as part of this longer intellectual trajectory that the continued currency of his views must eventually be decided. Even when Luther speaks theologically, he aims to address nothing short of the human condition. The argument to be advanced here is that Luther puts forth a Trinitarian hermeneutic of freedom—perhaps not as clearly or systematically as he could, though more clearly than he is customarily credited with. In fact, for Luther, nothing less than a Trinitarian framework will do to account for both divine freedom and, relevant to our topic, the integrity of human agency as free. The divine-human relationship remains decisive for anthropology—but, it must be clarified, it remains essential precisely as the work of the Triune God. Luther’s emphasis on divine triunity, where freedom is at stake, comes more fully into view when one considers the tensions that Augustine bequeathed to the medieval West and, in their light, medieval accounts of freedom as attempts to appropriate this Augustinian heritage. Seen from this angle, Luther’s thought is both a continuation of the medieval project of engaging Augustine’s legacy and a radical critique of it from the standpoint of the doctrine of God. To demonstrate this, this article begins with an outline of Augustine’s understanding of freedom, attending in particular to the anthropologically central notion of free choice. This is followed by an overview, necessarily brief, of medieval construals of freedom. We then highlight the central emphases of Luther’s account, as well as the manner they have been received by recent interpreters. This sets the stage for the constructive portion of this article, Luther’s own Trinitarian hermeneutic of freedom, which we articulate against the backdrop of the reformer’s critical interrogation of his medieval predecessors.